All of these places are remote, some more than others, so approach them properly equipped in terms of clothing, and, take food and drink; all of them, on fine days, are perfect for picnics. 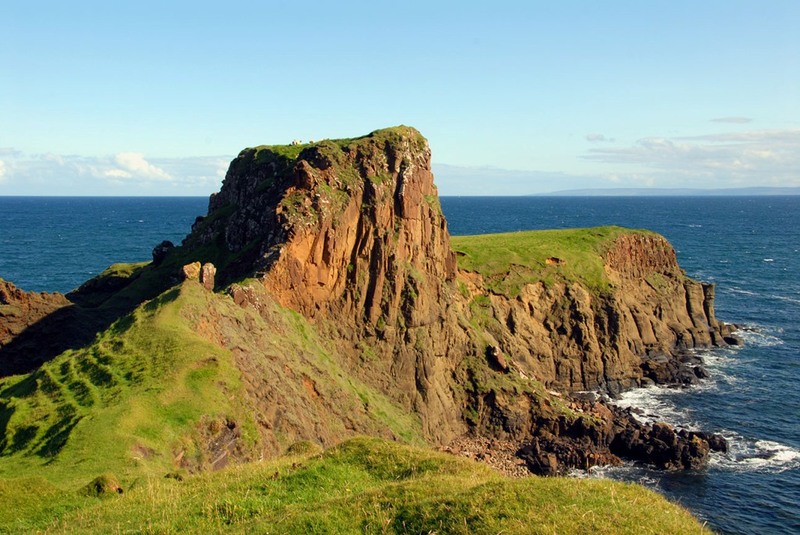 An Corran at Staffin is not a place that leaps out at you from the map, yet it is there, bold as brass, just to the south of Staffin Island, and well up the north-east coast of the Trotternish peninsula. There are a few things that make this a truly special place, the most recent of these is the likelihood that An Corran is one of the first places that prehistoric man landed on Skye. A Mesolithic hunter-gatherer site here, dating from about 9,000 years ago, is one of the oldest archaeological sites in Scotland, and its occupation possibly linked to the use of a rock shelter at Applecross in Wester Ross. 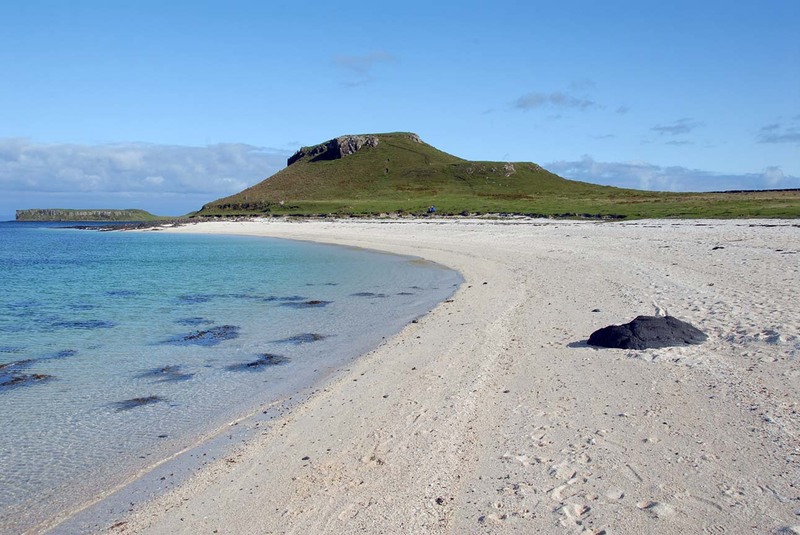 Just off-shore is the small Staffin island, also known as Stenscholl Island, and each year one of the local crofters swims his cattle across to the island at low tide to spend the summer grazing there, something he has been doing for over 60 years. Only a small number of crofters use this traditional farming method these days; indeed, this may be the only remaining location where this happens. Of considerable interest, just offshore, are some remarkable footprints left by a family of dinosaurs that walked across the sand here more than 165 million years ago. Of course, you can find them only at low tide, and not always then, but they pre-date the formation of the Cuillin, which are mere youngsters by comparison, formed just 60 million years ago, and carved by glaciers as recently as 11,000 years. The dinosaurs that passed here were believed to be Ornithopods, herbivorous creatures that walked on two legs. There is a cluster of footprints on a bed of sandstone on the beach, but I won’t be any more precise than that. Whether you find the prints on the beach, if you are interested in fossils in general, and dinosaurs in particular, the Staffin Museum at Ellishadder (NG506657) will be worth a visit. They have lots of exhibits there, including more dinosaur footprints, the world’s smallest dinosaur footprint, a dinosaur leg bone and other fossils. 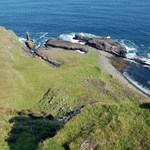 This beautiful little promontory also lies off the Trotternish massif, just to the east of the hamlet of Cul nan Cnoc. The brothers in question were early Celtic Christians, followers of Columba, but all you will see today of their presence are some vague outlines of huts. To get to it involves crossing Dun Hasan, an Iron Age fort, albeit a small one. 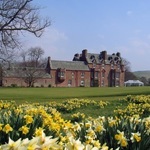 This is a mesmeric spot, perfect for snuggling into some grassy shelter and letting the day go by in peace and quiet. To get to it involves following a signed path from the main road – there’s a convenient pull-in just north of it, on the left, along with an information panel about the point. The path down to the point is clear enough, and you are left to explore at will once down there, taking in the lovely view northwards to Kilt Rock. On the return, as you reach the gate, by a cottage, at which the path turns abruptly left towards the main road, go forward up and across a rough, sloping pasture, and climb to the high point, where a trig pillar provides a great viewpoint, back down to the Point. 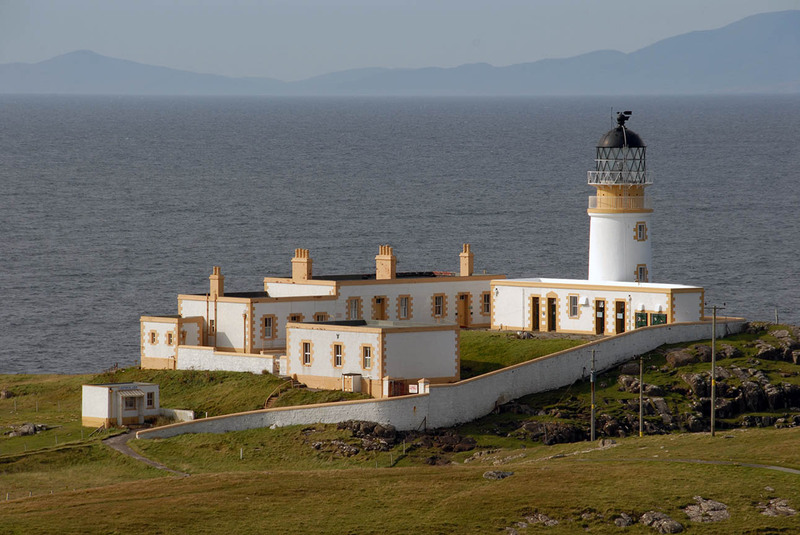 Many visitors to Skye sooner or later find their way out to Neist Point, not least because it is the most westerly point on Skye, and a place from which in the past I have watched killer whales and basking sharks passing by out in The Minch. Of course, you must go down to the point, but then on your return, take a track from the car park that runs in a north-westerly direction to a former lookout hut. Most visitors will retreat from this point, but press on, roughly following the line of cliffs to seaward until about 1km beyond the hut, it is possible to descent left to the shoreline of Oisgill Bay. This is a remote spot; so few people find their way here. But go down to the shoreline, and look for a large group of boulders that, in effect, have created a cave shelter into which you can scramble in rather ungainly fashion. The way back to the crofts at Waterstein across Mointeach nan Tarbh is wet in places, and is common ground, shared by a number of crofters; so please respect their property. While in this part of Skye, you might consider parking at the high point of the road above Loch Mòr, and walking by an ill-defined route, later following a fenceline, up onto the top of Waterstein Head. Although uphill, it is an easy enough walk, and will reward you with a fine view southwards over Mooney Bay, an area once fished by Gavin Maxwell for sharks, which he processed at his factory on the island of Soay. 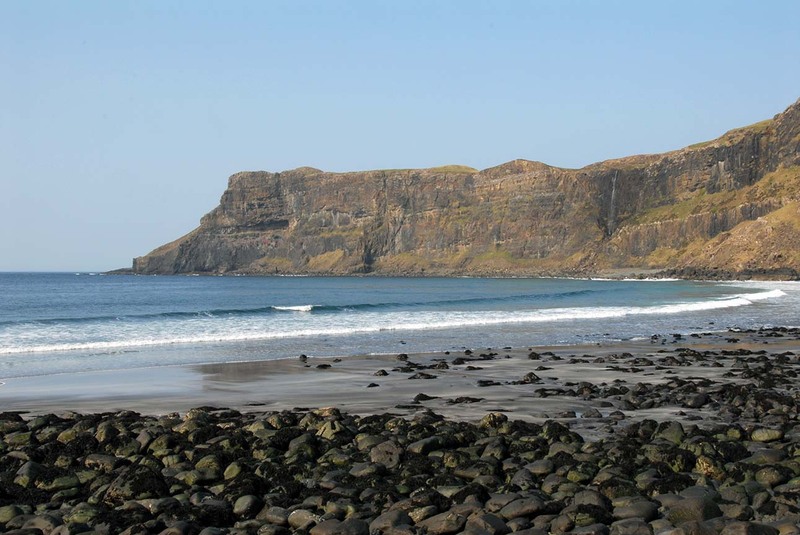 Many visitors to Skye head for the Talisker distillery at Carbost, and some will be curious enough to drive across into Glean Oraid to Talisker Bay. This is an enjoyable drive in itself, but along a narrow road. At its end, there is an obvious area where you can park, but please go no further, and do park with consideration for others. From here a clear track runs roughly southwards towards Talisker House, and then out via gates and a broad track to the great expanse of Talisker Bay. This, for me anyway, is a special place, one to which I return frequently. Scottish National Heritage seem to agree and have designated Talisker as a Site of Special Scientific Interest, based in part on Talisker’s geological profile, but in part also on the presence of two rare species of rare moth, the Talisker burnet and the transparent burnet. This great loch lies at the heart of the Cuillin (not Coolin, not Cuillin Hills, just Cuillin), and getting to it is anything but easy. 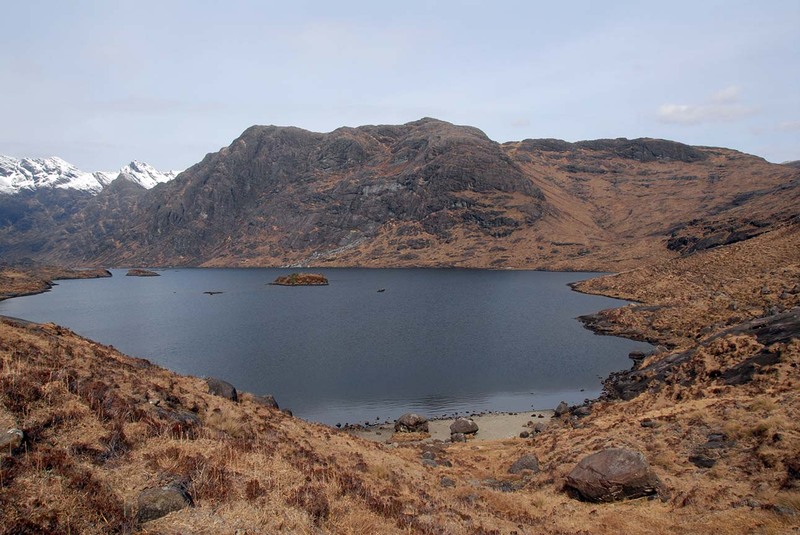 On foot, you must walk through Glen Sligachan, branching right just after the Lochan Dubha to cross the mountain ridge of Druim Hain, and then gradually descending to the shores on the loch. Another way in is to start at Kilmarie, and walk across to Camasunary, crossing the river there (if you can – it’s tidal), and then following the shoreline base of Sgurr na Stri round to tackle the infamous Bad Step before pressing on to Loch Coruisk. It is equally appealing just to terminate the walk at Camasunary. 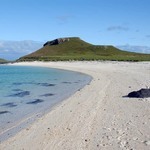 There is a bothy here, but some splendid machair on which to stretch out and relax – provided the midges are not about. By far the easiest way, is to drive to Elgol, and take the ‘Bella Jane’ across to Loch na Cuilce, from where a clear path leads round to stepping stones (often submerged) spanning one of the shortest rivers on Skye. If the stepping stones are impassable, just keep to the left, and follow the path as it opens into Loch Coruisk. The walk around the loch itself is rather more demanding than it appears; so, think carefully, with an eye on the time before attempting that. But, whether or not you do the loch walk – which ends by crossing those stepping stones – take an early boat, plenty of food and drink and warm clothing, and come back late. It will be a great day. Want to read about more Secret Sky locations? Here is the second part of Terry’s Secret Sky series.